Life getting you down? Does Pokemon make you happy? 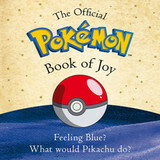 You might want to pick up the upcoming The Pokemon Book of Joy, which is releasing via Del Rey in the US and Century in the UK this September 22nd. Hit the jump for more details! A slew of new Pokemon have been introduced from The Pokemon Company, and they'll all be appearing in Pokemon Sun and Moon. The announcement comes out of the 2016 Pokemon World Championships, and they look to be some whimsical designs. Hit the jump for a look at all of them! Who's that Pokémon? 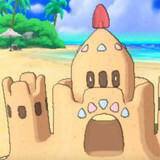 It's Turtonator, the latest 'mon to be officially revealed for Pokémon Sun and Pokémon Moon. You can see the spiked Fire/Dragon Type, which boasts the Shell Armor ability and the unique move Shell Trap, in the introductory trailer after the jump. 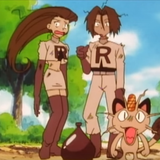 In order to advertise Pokémon TV, a smart phone app dedicated to digital distribution of Pokémon animation, The Official Pokémon Channel has released a compilation video showing some of the highs (and lows) of Team Rocket being zapped, scorched, and otherwise pummeled over the years. Hit the jump to blast off again. 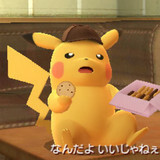 Entertainment industry journal Variety has reported that Nicole Perlman and Alex Hirsch are in negotiations to write the Legendary's live-action Pokémon movie, to be based on the upcoming game Detective Pikachu. More after the jump. The rhythm of Pokémon Sun and Moon's pre-release hype has been "leak new 'mon in magazine scans," followed swiftly by confirmation in an official trailer. 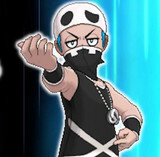 That tradition continues with the new Japanese promo, which starts with an introduction to antagonists Team Skull before moving on to some of the recently-revealed Pokémon in action. Read on for that and the English trailer. 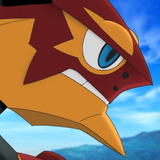 A new music video highlights the theme song for Pokémon the Movie: Volcanion and the Mechanical Marvel, which known as Pokémon the Movie XY&Z: Volcanion and the Exquisite Magearna in Japan. Hit the jump to check it out.